Owners Adam and Anna Seward live locally in Aberfeldy and are both passionate about the Arts. 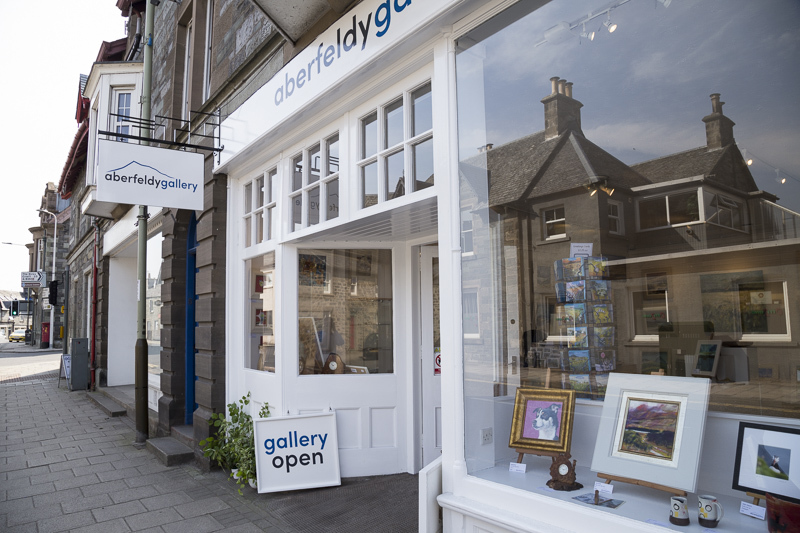 They have a longstanding connection with Aberfeldy Gallery as it was run originally by Anna’s grandparents, Roger and Merril Sylvester, who established the gallery in partnership with their good friends Wattie and Sonia Yellowlees, in May 1983. Adam, a conservation scientist who grew up in the south of England, is a photographer, specialising in wildlife, landscape and event photography. Contact him about photographing your next event and browse his work on sale in Aberfeldy Gallery. Anna grew up in Perthshire and studied Art History and Music as an Undergraduate before a Postgraduate in Primary teaching. As a keen amateur artist and photographer Anna has attended several art classes…but won’t be exhibiting her work in the gallery!